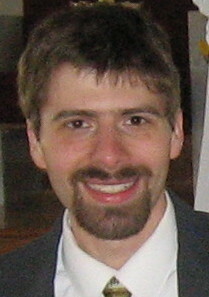 Dr. Jesse Richman is Associate Professor of Political Science and International Studies at at Old Dominion University. He holds a PHD in Political Science from Carnegie Mellon University, and came to ODU in 2006 after teaching at Vanderbilt University. Dr. Richman teaches courses in American Politics and research methods for the Department of Political Science and Geography, and also teaches Game Theory for the Graduate Program in International Studies. Dr.Richman is Faculty Director of the Social Science Research Center. Dr. Richman has authored and co-authored refereed articles on American politics which have appeared in several scholarly journals including American Political Science Review, Legislative Studies Quarterly, State Politics and Policy Quarterly, and White House Studies. He is also coauthor of the book Trading Away Our Future. M - 2:00-3:00 pm, W 2:00-3:00 pm, Th 4:00-6:00 pm.